With NGSchoolz JAMB CBT Practice App, you will be able to practice about 11,700 real and verifiable JAMB past questions with detailed explanations. We launched the JAMB CBT Practice Software for our exclusive readers to be able to practice JAMB past questions and answers from their Android Phones. We discovered that some of our members that don’t have computers were unable to use the computer version of the application, so we decided to make things easier by launching a mobile app to carry mobile users along. NGSchoolz JAMB CBT Practice App prepares candidates for UTME in an incredible way. It has 16 subjects with 11,700 real and verifiable JAMB past questions. You can decide to practice questions from any topic of interest. It is simply one of the best CBT apps that can boost your chance of acing UTME. JAMB CBT Practice App works 100% – Just Install And Keep Practicing. 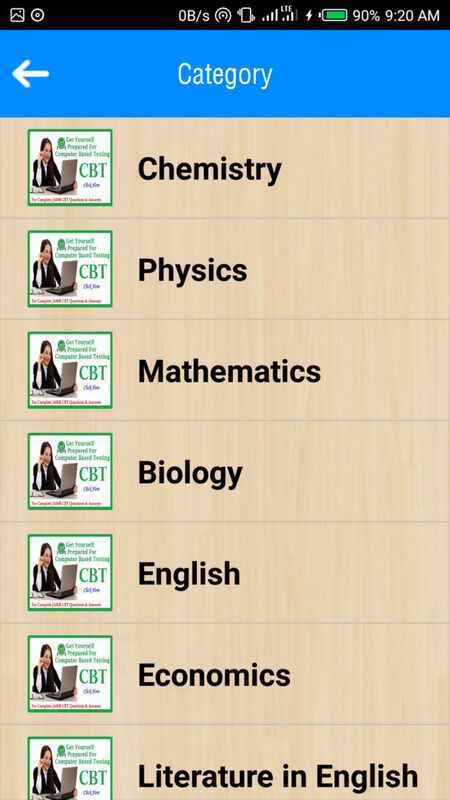 Features of NGSchoolz JAMB CBT Practice App. Contains about 11,700 Questions – practice unadulterated JAMB UTME past questions from 16 subjects with detailed explanations. Practice any subjects of your choice – you can practice any number of subjects at a time. Result By Topics – just like that of UTME. Intelligent Personal Assistant – just like that of UTME. Has simple to use and cool user interface. Shows number of attempted questions. Users can view at a glance all correctly answered questions and those not answered correctly. Shows summarized and detailed result after practice in Tables and Charts. Download NGSchoolz JAMB CBT Practice App for Free.